Browse: Home / HijackThis fork 3 – A free utility that finds malware and other threats. 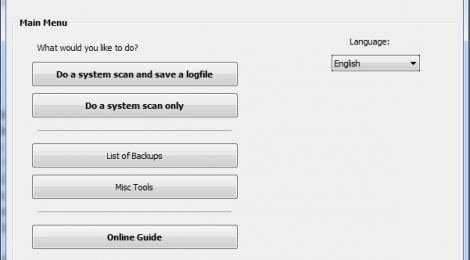 HiJackThis Fork 3 is a tool for scanning your computer to find and fix settings changed by adware, spyware, malware and other unwanted programs. HiJackThis does not target specific programs/URLs, just the methods used by hijackers to force you onto their sites. As a result, false positives are imminent. Unless you are sure what you’re doing, you should always consult with knowledgable folks BEFORE DELETING ANYTHING. * Microsoft??? Windows??? 10 / 8.1 / 8 / 7 / Vista / XP, include Server editions, both 32 and 64 bitness.